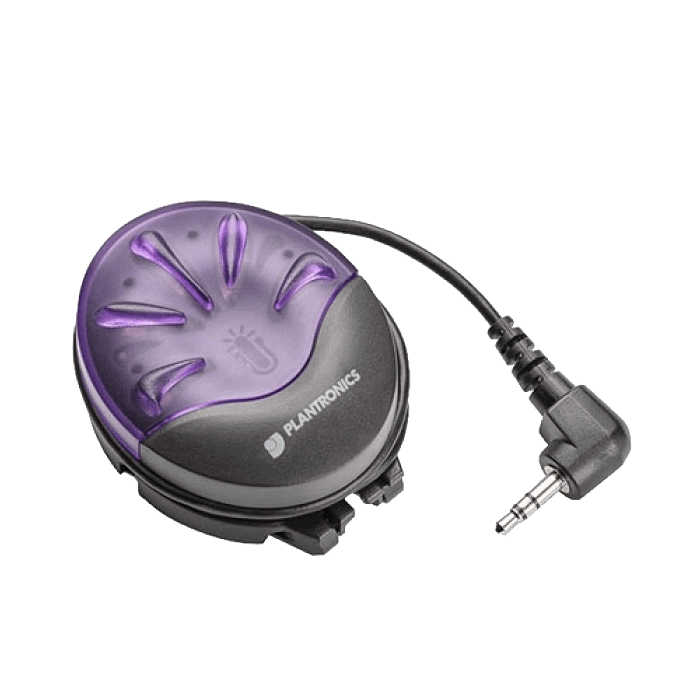 Plantronics CS50 Wireless Headset - Headsets Direct, Inc. The CS50 has been discontinued. Click to view current wireless headset options. 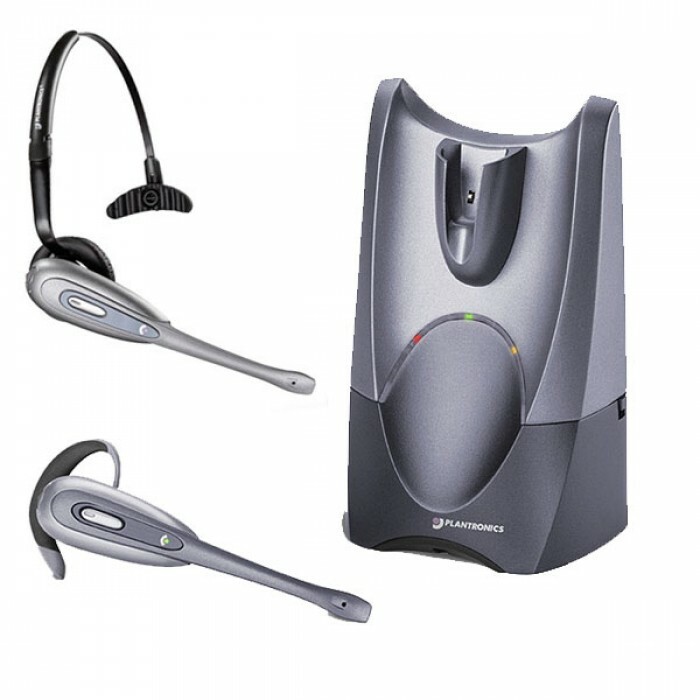 The Plantronics CS50 Wireless 900MHz Office Headset System brings the ultimate in mobility and sound quality for hands-free conversations to your phone. Totally wireless, the Plantronics CS50 gives you up to eight hours talk time and the cordless convenience to roam up to 300 feet while having secure conversations. The headset continuously charges in the cradle, and when in use, taking or ending a call is as simple as pressing a button. Compatible with typical office or PBX-based phones, the headsets can be worn on either ear or over-the-head for maximum, long wearing comfort. The Plantronics CS50 wireless headset system combines the clarity of traditional corded technology with the mobility of wireless, so you can move around the office to wherever business takes them — without interrupting or missing a call. Conferring with colleagues, walking to the printer, pouring a cup of coffee— need not interrupt important calls up to 300 feet from a desk phone. With Plantronics, you simply get more done as you’re able to continue talking while tackling other tasks throughout your office. Spend the time you’re on hold being productive, as you organize your files, clean your desk or tidy up your credenza. An extended boom and noise-canceling microphone filter out background sounds for heightened speech clarity. This allows your call to hear you and not the noise within your office. With the superior noise-canceling technology you will repeat less information to your caller and it will be more accurate which eliminates errors and call-backs. 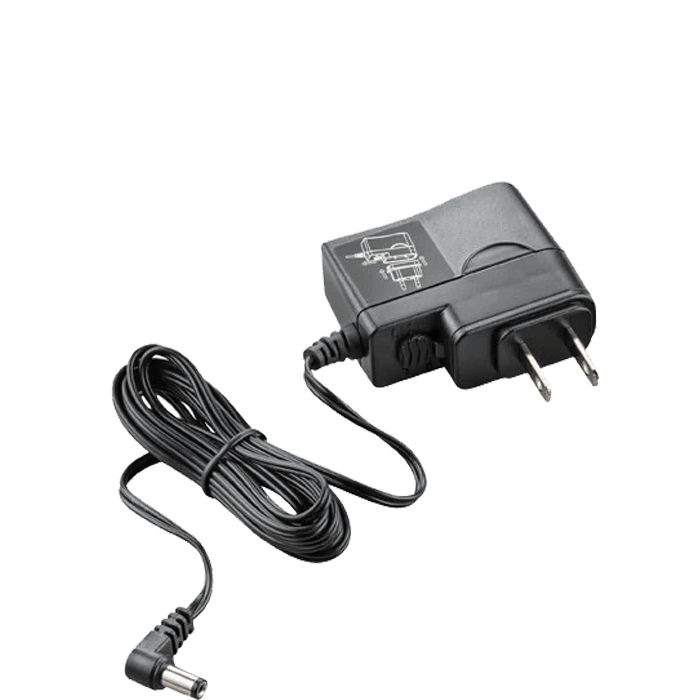 Using an optional HL10 handset lifter or compatible EHS cable adds the convenience of one touch answering and ending calls while away from your desk. More importantly this keeps you from missing calls when away from your desk. When your phone rings, the HL10 or EHS cable will send a signal to your CS50 which alerts you that your phone is ringing. With the push of a button on the headset you can answer the call and avoid playing phone tag with your clients. As you walk away from the base unit you will eventually reach the system operating range limit. When in headset mode a warning alert of two beeps will sound in the headset shortly before you meet the range limit. On hearing this alert you should walk closer to the base unit to ensure call quality is maintained. If you remain out of range for more than 15 minutes the system will drop the call permanently. When the headset battery is running low (approximately 5 minutes talk time remaining), an audible warning will be heard through the headset as a single beep repeating every 10 seconds. Soon after hearing this warning, you should recharge the headset. • One beep in the CS50 headset every 10 seconds is caused by a low battery warning. Recharge battery by returning it to the base charge cradle for one to three hours until charge light stays lit or quits blinking. • Two beeps is an out of range warning. Move the CS50 headset closer to the base. • Three rapid beeps every 15 seconds indicates your CS50 headset mute is on. Press the mute control dial once to turn mute off. • When an optional lifter is connected, three repetitive beeps indicate a call is coming into the headset. Press the talk button on the CS50 headset to answer the call. We have been using these headsets for years in the high-call volume areas of our office. They are very dependable, and Plantronics’ support has been super in assisting us with settings to improve call quality. 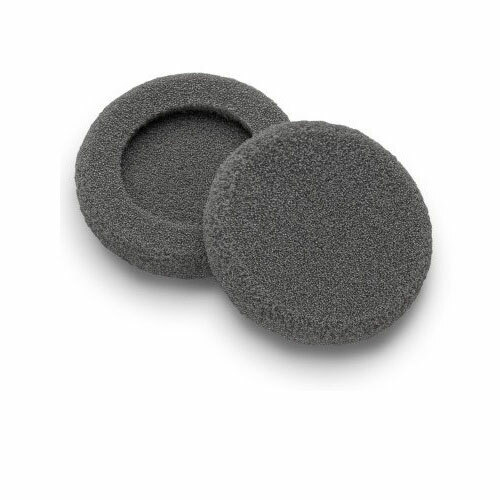 I thought this was a great price – excellent selection of various types of ear pieces – my ears seem sensitive, so I really appreciated having the large foam-style earpiece. Fast shipping service and easy to use equipment. No complaints. Works well for our purposes. This is a terrific product, we use it with the lifter. This is a good wireless headset. We like the product but it has an echo when phone is in use. There weren’t instructions about changing a setup item on the phone. This is the most comfortable style headset I have found. This makes talking on the phone all day much easier, especially with the handset lifter. This has made my job so much easier! The customer service was great; lovely people at headset direct. The shipping was fast and cheap. The quality of the headset is great, clear, no interference, etc. I will order from here again and have told all my co-workers and other professionals about this company. It’s a great product. Convenient to use. We have previously been using these in our customer service department and have added our management group. Works well for us. It works great if you do not have to walk around a lot. This headset is exactly what we needed and at a great cost. It is very easy to set up and use. We’re used this particular model for some time now and could not be happier with the ease of setup and use. A great product that would work in any office! This wireless headset was easy to set-up and use. This is our second purchase of this model because of it’s features and the price was very reasonable. Thanks!! We have used this product in our office for several years and have never had an issue. Was very happy that we bought them at a discounted price too. sound and voice quality are great. Headset ear pieces are too painful, over the head version does not fit that great. Like the headset though. These work great and getting them at a reduced price was even better! This product is a great value for the price. Overall it works really well. One thing I would change is the receiver. It would be nice to easily move it up or down when you are done a call. My boss had one of these from some time ago. Loved it but the battery was always dying. Bought this and she is back in business. There are 2 things that I would change with this headset. 2.) More Comfortable ear piece. Other than that the functionality and overall usage is perfectly fine. Works really well, easy to set up and use. Sound was good. Worked from a pretty good distance away from the base. We have used these headsets in our office several years. I was thrilled to find additional units for expansion at such a reasonable price! We have several of these headsets in our practice and have always had a good experience with them. I was very pleased to find one recently for such a good price. I have had great results from the CS50. The sound is clear and we have never had any issues. Also, other parties have never mentioned that you sound like you are talking from a tube. The wireless feature makes this very comfortable and practical. The customer service has been excellent. I have had this headset for about 3.5 years and just replaced the battery. I didn’t realize how much I depend on it until I didn’t have use of it during the time I waited to get the battery replacement. To be able to have my hands FREE and be able to get up and look for things during a call and take support calls on the computer IS WONDERFUL. One of these days I hope to be able to purchase one for my home use. Nice range with little to no interference. Comfortable enough to wear all day. Everyone in the office really enjoys this headset, even with hearing aids it works wonderfully. Love it! It has made my job much easier. I have shoulder and neck problems and talking on the phone with the receiver has been a continuing problem. With my headset, those problems are completely alleviated. Also, it keeps my hands free to work on the computer, write, or walk to another area without having to put the customer on hold. It is great technology! Sound is clear and loud. Lightweight and definitely configurable (over the head hoop, ear loop, etc). 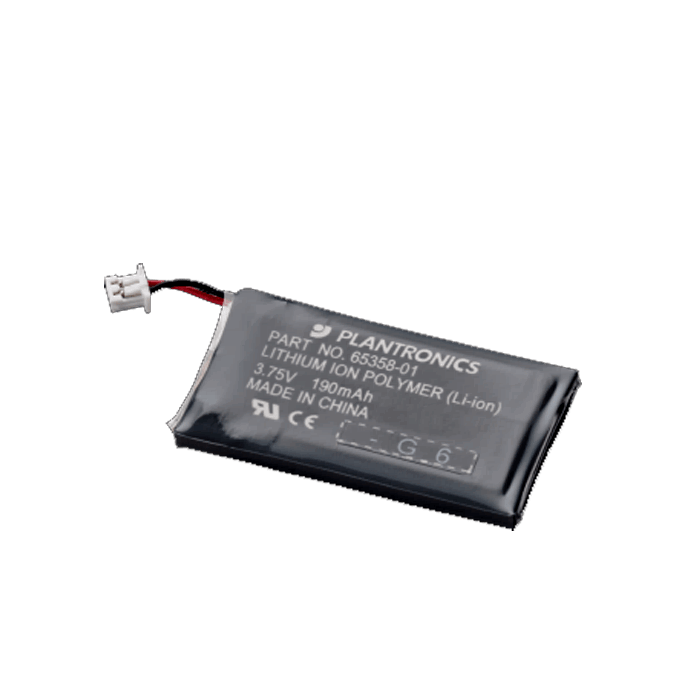 Battery does not do well if left off charger overnight – even after buying a new battery. Thanks for your prompt service, and having a person on the phone for questions. Very satisfied. I was constantly having problems with neck pain with my regular phone. Now that I have started using the Plantronics CS50, I have cut out trips to the chiropractor to zero. I was looking forward to a tight fitting comfortable behind the neck accessory for my CS50. This one is not. When I got it, the ear clip that holds the wireless piece was too low, too far away from my ear, and generally uncomfortable. I was also expecting to be able to use the ear cushion with it, and can not. I use it on the right side, and had to switch the ear clip to using the left clip on the right side so that it sat correctly on my ear. It is still awkward and doesn’t fit on my ear, it falls below, but usable and better than the headband type. Ordered a battery for my headset. Fast, prompt service and no problem since the installation. The headset is a must in any business environment, especially ours. We own an automotive maintenance repair shop and utilizing a CS50 headset is a must. The time savings and efficiency established alone is enough to justify the expense. Let alone, the improved customer service.